Finally we get to enjoy even more traditional football in New York. The new team will be the second soccer club in NY after New York Red Bulls. The decision to start a new football club in the major city was taken earlier this year and now the team is almost ready to start the new season. Any famous players joining NYC FC? There are quite a few famous football players you might have heard of such as David Villa and Frank Lampard. Many European fotballers go to America when their career is slowing down or there are not so many years left. 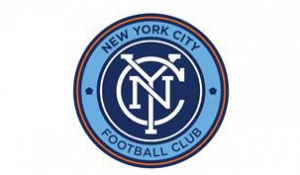 Still, there are quite a few players NYC FC need to recruit before going live in Major League Soccer (MLS) in 2015. The coach for 2015 will be Jason Kreis. the first season. The arena will be taking up to 34 444 fans at home games. Yankee Stadium is also home to the baseball club with the same name, Yankees. Worth to know is that Yankees are one of the owners, while Manchester City is the other part. Wanna buy soveniers from NY city FC? They have 25 % off as a cyber Monday sale. Free shipping on all orders over 75 USD. Their website is NYCFC.com while the facebook page can be found at https://www.facebook.com/newyorkcityfc.